MASKerade: CASology 83 - Jump! 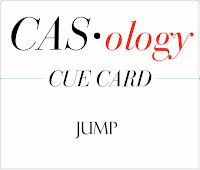 This week's CASology Cue Card is Jump! I guess I must have a sister who loves horses (I do!) because I immediately thought of horses jumping. 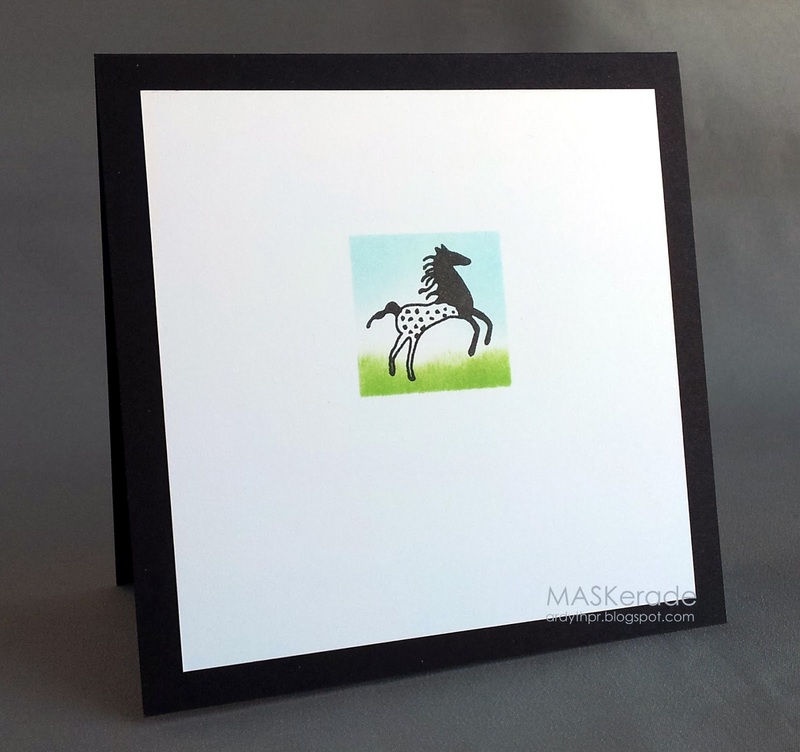 To keep this card very CAS, I masked a square and sponged only the top and bottom with sky and grass colours (leaving a white area between the two colours). Your eye is very smart and it 'completes' the square so that it doesn't really look like anything's missing. Having a defined focal point leaves plenty of breathing room for a clean feeling! As usual the DT has come up with some great interpretations of this week's Cue Card - go check them out and then make sure you join us before the deadline on Sunday at 5:00 pm EST. Your card really made me laugh - not sure if you have them in Canada but one of our banks (lloyds tsb) used to have a logo very similar to your card http://enablemagazine.co.uk/index.php/2013/02/lloyds-tsb-launches-online-british-sign-language-service/ It really took me back in time! As always, you've nailed the cue card! 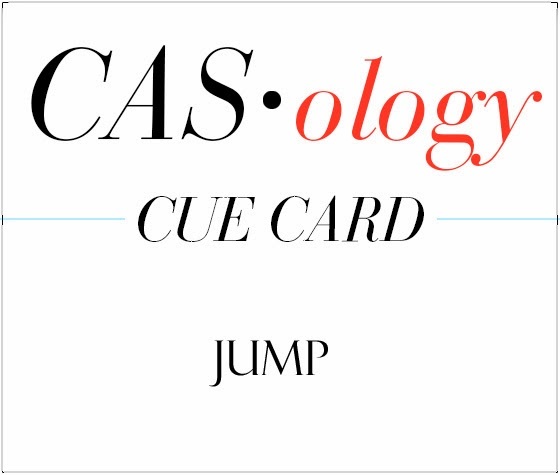 I love seeing your ultra clean and simple take on the cue card each week! I'm inspired! You would think with the small size it would not create as HUGE an impact statement, really powerful, and frolicky at the same time!!! Love it! This is fantastic. I did not even realize that the square was not complete until you mentioned it. You are right--my eyes are smarter than me. Love the motion in this horse, and the way you masked and sponged. Small image. Large impact. Wonderful card. Then your sister will love this card! Ii know I do, love the tiny palette! Oh I love this Ardyth! I am inspired to try this technique with the masked spongeing! Such a stunning card, Ardyth! I love how you masked your square and your inking/blending is just beautiful and perfect with the horse! Always love your horse cards. You do such an awesome job of explaining your style! Who could possibly have any doubt after reading your post!!! And you're right - my eye was smart! I smiled when I saw this card...knowing that it will be headed straight to your sister! You are the queen of clean and graphic. Hands down, no one does it better than you! what a wonderful horse! nicely framed and colored!